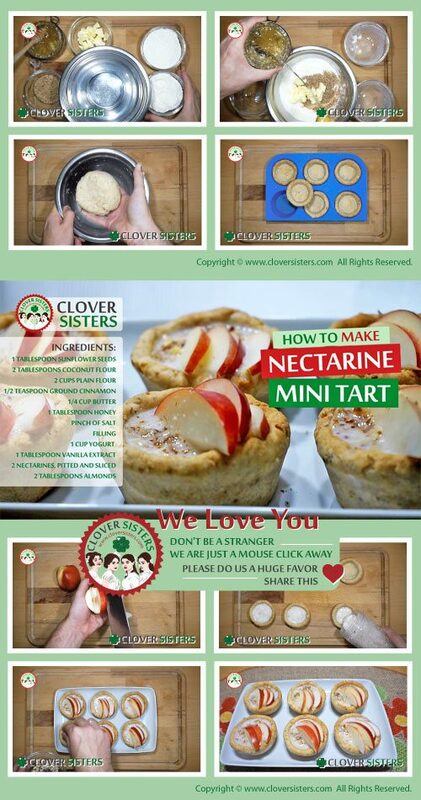 Kids love mini tarts, and they can’t resist to help out make them. 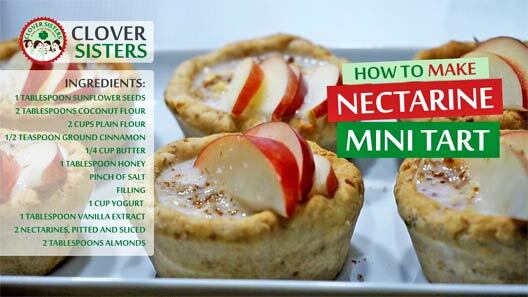 Have fun making and eating this mini tart with nectarines. Toast sunflower seeds for a few minutes to enrich the taste and then blend. Mix them with the coconut flour and plain flour. Add the butter, honey and salt in. Fill the muffins molds and make pit in the middle. Bake up to 20 minutes in the oven preheated to 360F (180C). Mix together yogurt, vanilla extract in the blender and blend until smooth. Cover and refrigerate until ready to use. Spoon cold filling into cold mini tarts and top with nectarines and almonds.